Sasha Banks. Charlotte Flair. Becky Lynch. Bayley. The Four Horsewomen.Their run in NXT ushered in a new era for women in WWE, and earned them a spot on Monday Night Raw. But what happens when one of the Horsewomen gets left behind? Follow Bayley’s attempt to ascend to the heights of her former sisters-in-arms in the untold story of the Women’s Evolution! 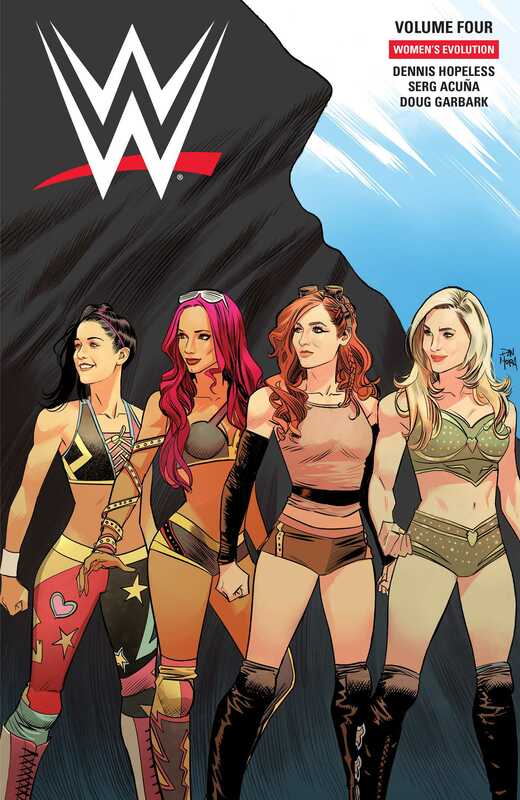 Writer Dennis Hopeless (Jean Grey, Spider-Woman) and artist Serg Acuña take readers through one of the most exciting runs in WWE history in the fourth volume of the hit series.